As a U.S. Army infantryman in World War II, Don Wedewer was twice wounded in four days. Both times he was left for dead. Now he was a double amputee and blind with seemingly no hope for the future. Through extraordinary determination and persistence, this highly decorated combat veteran overcame seemingly impossible odds to become a state and national leader in helping those with vision loss. The Bravest Guy is my father’s, Don Wedewer’s story. As a 19-year-old infantryman from Dyersville, Iowa, serving in World War II, he was twice wounded in four days in combat. While attempting to aid a fellow injured soldier he stepped on a land mine severing both of his legs and leaving him with vision in only one eye. Four days later, the hospital he was recovering in was hit by a Nazi V-1 “Buzz Bomb,” causing the ceiling to collapse on top of him and leading to his loss of vision in his second eye. On both occasions, Catholic priests conferred final blessings on my father. He had been given up for dead. With incredible persistence and determination, my father overcame the fact that at 19, he was legless and blind, to become a leader in Florida, as well as nationally, in providing opportunities for those with vision loss. He spent two years in Army hospitals at one of which he met my mother Marabeth, then only 18. She became his indispensable support system as he gained degrees at the University of Missouri and subsequently had to overcome the institutional barriers that in post-World War II America deprived opportunities to those with vision loss. A brief meeting with the internationally renowned activist Helen Keller cemented my father’s determination to succeed and eventually realize for tens of thousands of others Keller’s dream of equitable treatment for those with vision loss. As a state and national leader in providing opportunities for those with vision loss, my father was successively recognized by Presidents Richard Nixon, Ronald Reagan, George H.W. Bush and Bill Clinton and was awarded the highest honor in the blindness field – the Migel Medal – conferred by the American Foundation for the Blind. 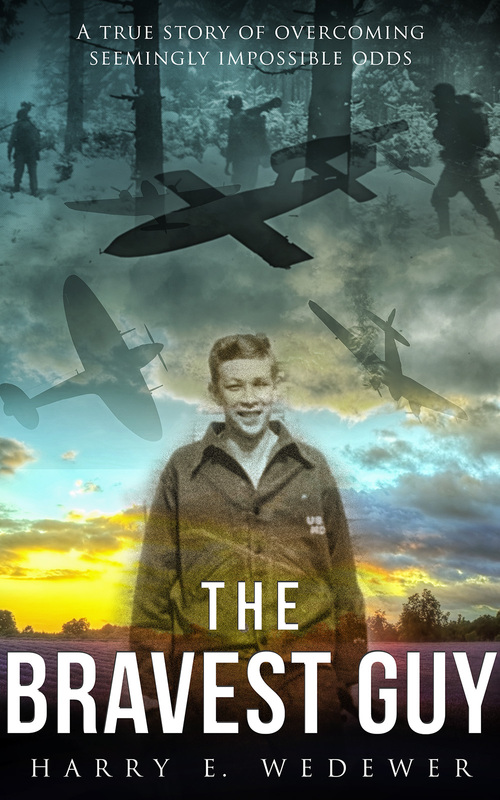 For those who have any connection to the wars in Afghanistan and Iraq, World War II and other wars, as well as with vision loss, or, whether you are just looking for an inspirational story, I hope that you will explore this site and book. I included the prologue to The Bravest Guy and I hope you have the opportunity to read it along with leaving me your comments. My goal in writing the book is simple: to inspire at least one person to also become that Bravest Guy.